England spent this Sunday sending their critics into a dark and lonely cave before pouncing on their words and demolishing the doubts that were placed upon them prior to the World Cup. A creative and attractive English side defeated Panama 6-1, courtesy of a hattrick from Harry Kane, a brace from John Stones and a beauty from Jesse Lingard. Panama’s first ever goal in the World Cup finals came via Felipe Baloy, but it was an afternoon dominated by the Lions. 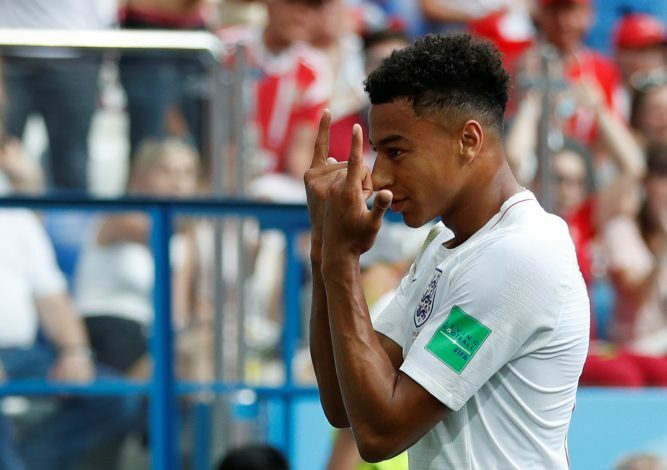 One standout performer, in particular, was Jesse Lingard, whose goal today arrives after a string of brilliant performances for club and country, and it already looks like England have a true legend brewing amidst them. But of course, one man, in particular, knew long, long ago. Sir Alex Ferguson was a football genius not only due to his sizable tally of titles but also as a result of how accurately he used to track and predict the success of individuals. In 2012, the legendary gaffer had this to say about Jesse Lingard, then an attractive graduate of their youth-academy set-up: “Jesse’s going to be some player. Sir Alex will certainly be grinning right now over how accurate his prediction has turned out to be, especially after today’s game, and if we know anything about the manner of those words, Lingard may just be getting started. At 25 years of age, he is certainly a tad bit too old to be called a blossoming starlet, but it may just be that this lad will be the next big thing for England. The World Cup is still young, what else does the Mancunian forward have in store?